Brenda Wong's final wish is to be cremated in a classic Chanel suit - the obvious choice of course for any veteran of the fashion industry like herself. Wong remembers the first time she was in Paris as a student and saw the flagship store of her favourite fashion house. She pressed up against the glass display and pointed to a pair of Chanel earrings and timidly asked the sales clerk in her best French accent "Excusez-moi madam, combien ça coût?" Much to her surprise the sales clerk replied in a snobbish huff like a scene out of `Pretty Woman' - "If mademoiselle must ask! Then mademoiselle cannot afford!" Needless to say she spent a huge portion of her student budget in determination to own something Chanel. Wong has been an avid player in the Vancouver fashion industry for over 20 years and has seen it grow and prosper into the healthy industry it is today. Under her watch as president of the Designers of Fashion Association she was the key vehicle that expanded the membership more than 300% from its original base. 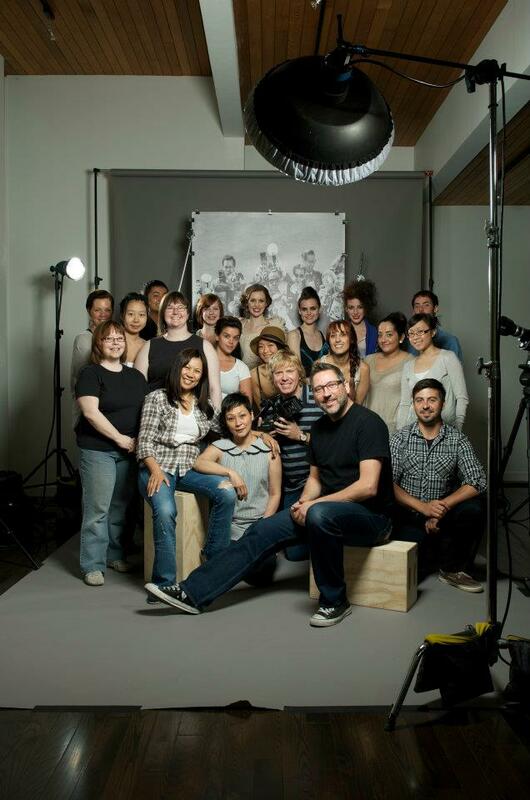 The association's main mandate is to promote local up and coming designers. 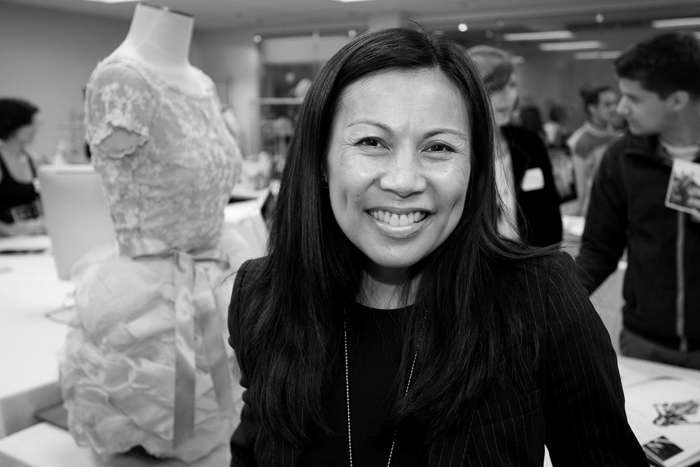 Now the academic director for fashion programming at the Art Institute, Wong is in what she calls the perfect job. It's her way of giving back. "For me I'm at that point in my life where it's time for me to pour my hopes and dreams into that next generation and to support them and hand over that knowledge and see them follow through". The starry-eyed maverick always felt a calling toward the fashion industry. Growing up in Vancouver as a second generation Chinese Canadian, Wong's parents gave her three career choices- she was to be a nurse, a nurse or a nurse. "I didn't get close to being a nurse" she laughs. Instead the persistent young student graduated from Blanche McDonald and the Paris Fashion Institute with a concentration in fashion marketing. Her inspiration was in fashion show production and upon graduation she produced shows for Holt Renfrew and Catherine Regehr. Although her heart was always in the fashion side of things, Wong was put into acting classes to build self-confidence. Today she still describes herself as a very "shy outgoing person" and believes acting classes assist in any career ones chooses. It really lent a hand when she made the choice to become a stunt-double for the then growing `Hollywood North' Vancouver film industry. It was her days as a stunt double where she found great mentorship that lead to the opening of her own talent agency -TalentCo. TalentCo. started small in a tiny office in Yaletown in 2000 and flourished to a very lucrative and well lubricated machine. "It was a humbling experience starting your own business and it was a tiny little office with just me. If you were to come for an interview it was so tiny that if you brought a gym bag and a friend they would be out in the hallway. I could say I was in Yaletown, but back then Yaletown wasn't all that trendy either. It was really industrial back in the day, but then of course that grew and with every move I made, the company expanded". At its peak, TalentCo. represented over 500 models and actors. Always savvy when it comes to business, Wong looks at business in a practical way and can separate herself emotionally. So when the writer's strike happened in 2006 and soon after the economic downturn in 2007-08, the astute business woman decided it was time to wind down the business and go golfing for a while. In the process, an offer to buy TalentCo. came her way and Wong hesitantly agreed. Her early retirement came to a halt in January of 2011 when she was offered her current role at the Art Institute. The tireless fashionista claims she's still a lousy golfer. Wong embodies all a successful woman in the competitive fashion industry needs in order to not only survive but thrive: passion, an eagerness to learn, hard work and a stick-to-itiveness attitude. This is the exact advice she lends as she passes the torch to the new generation of hopeful students. Her proudest moments come when she receives feedback on her inspirational venture. "The warm and fuzzy feelings when you get a note or a letter from somebody that you touched 20 years ago sharing you said this to me 20 years ago and it changed my life. Your actions and support made a difference in my career. And as corny as that may sound, it's hugely rewarding. Now I'm in that exact position in the perfect job where I can see students succeed and see the fruits of my own labour". Brenda Wong has lived a very full and stylish life and suffice it to say in the name of Chanel, her legacy will live on. 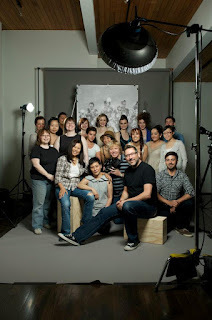 At the present moment Wong is working with the students in preparation for the Art Institute's big gala show "Paparazzi Fashion Meets Hollywood". This event will be held at the River Rock Casino on Tuesday November 8, 2011. For more information go to http://www.artinstitutes.edu/vancouver/fashion-702.aspx.